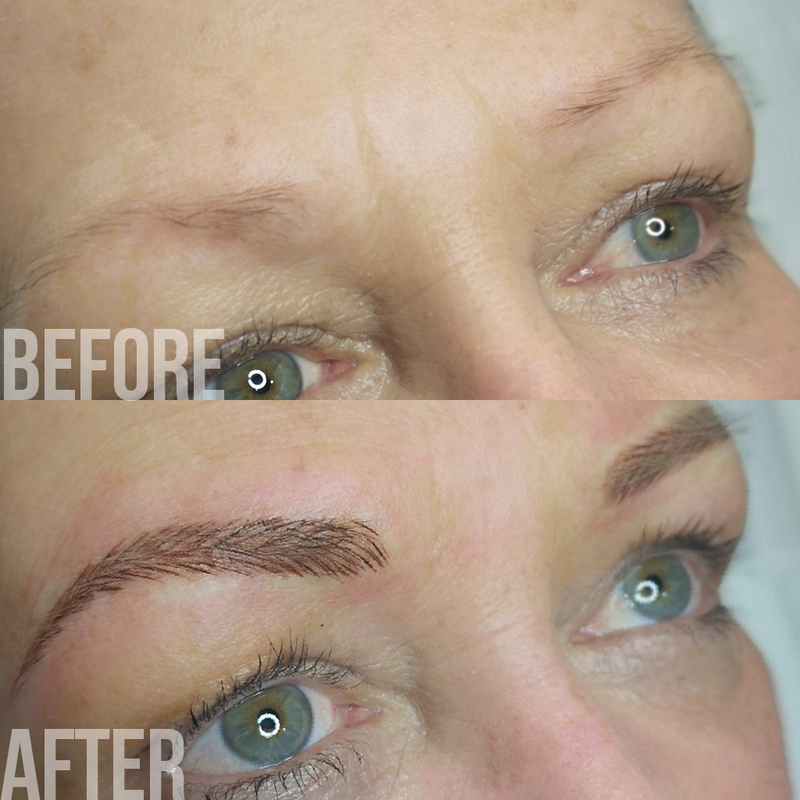 Microblading is a natural modern alternative to eyebrow tattooing. 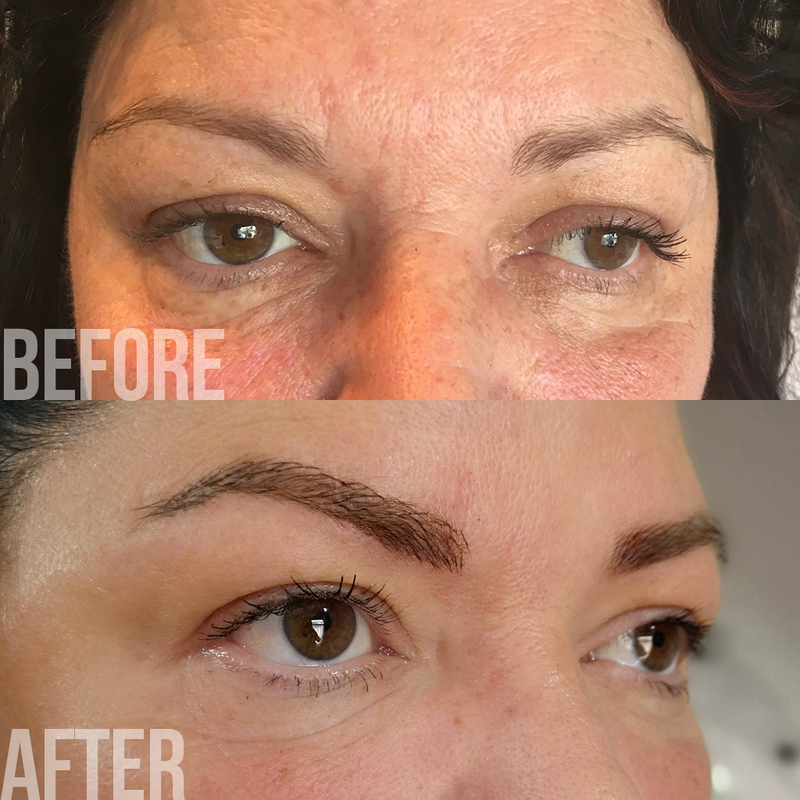 Here at M.E.Microblading Devon Eyebrow Specialists, we offer Microblading which is a technique in which a small handheld tool made up of several tiny needles adds permanent pigment to the skin. 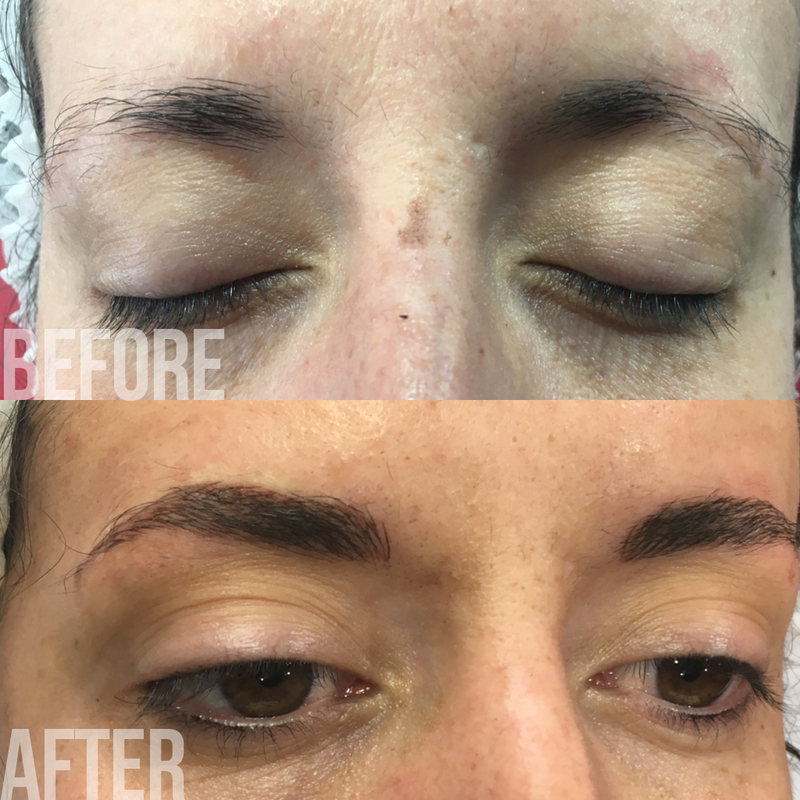 Microblading differs from standard eyebrow tattooing because each hairstroke is created by hand producing a thin, natural looking line that blends in with existing eyebrow hair. 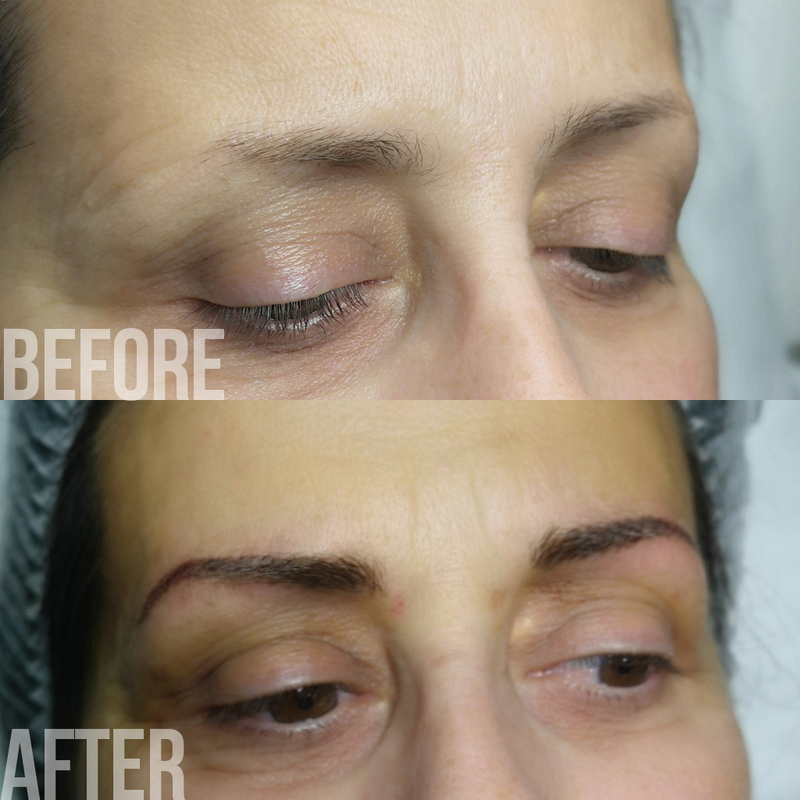 Whereas, with eyebrow tattoos it is still done with a machine and needle often producing thicker, less natural lines that tend to expand over time. 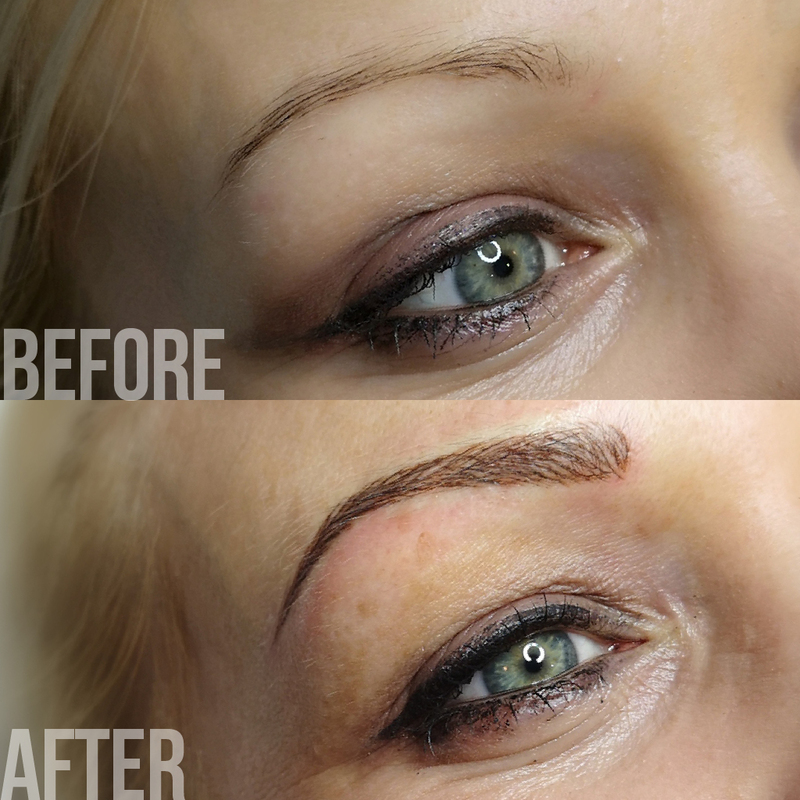 Microblading will create, enhance or reshape the appearance of your eyebrows. 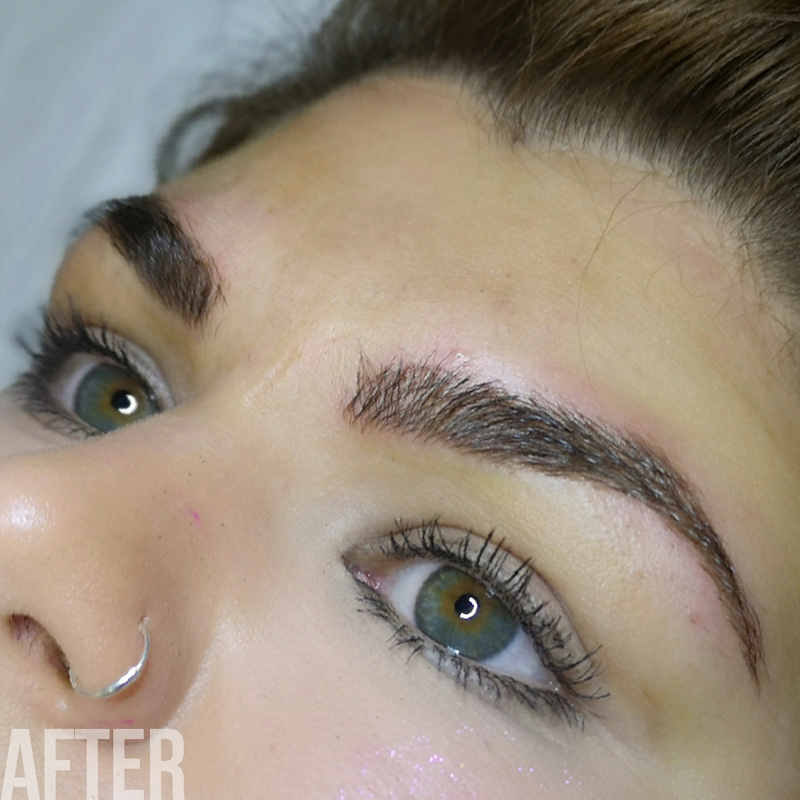 Here at M.E.Microblading we specialise in reshaping and enhancing your eyebrows, check out the results in this before/after slider. 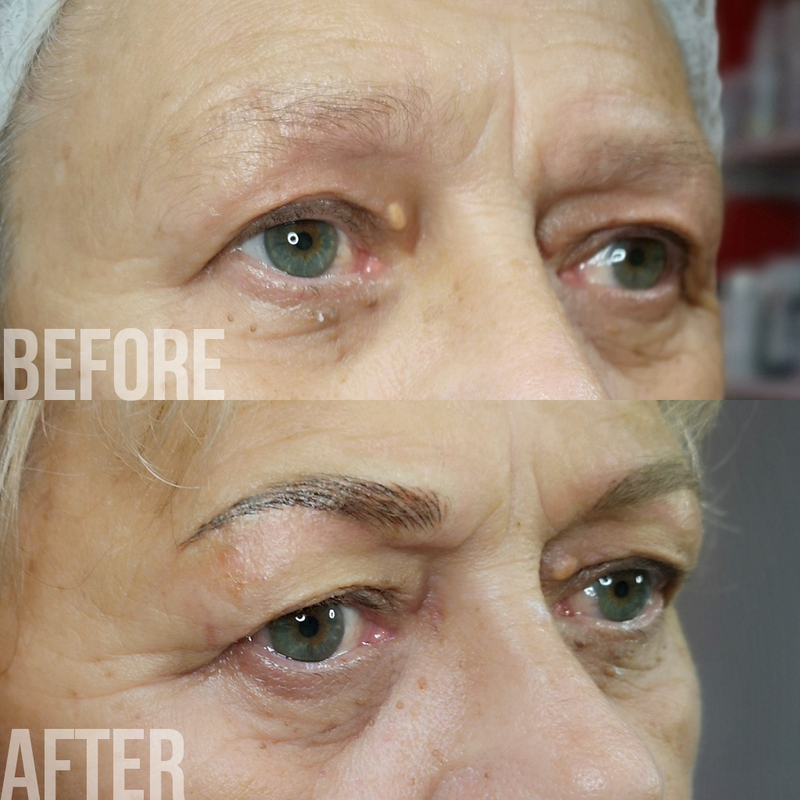 Simply drag the divider line from left to right to see the before and after treatment results! We use the highest quality pigments applied into the surface layer of the dermis (skin), this is not as deep in to the skin as regular tattooing. This achieves a clean fade and with no colour change. 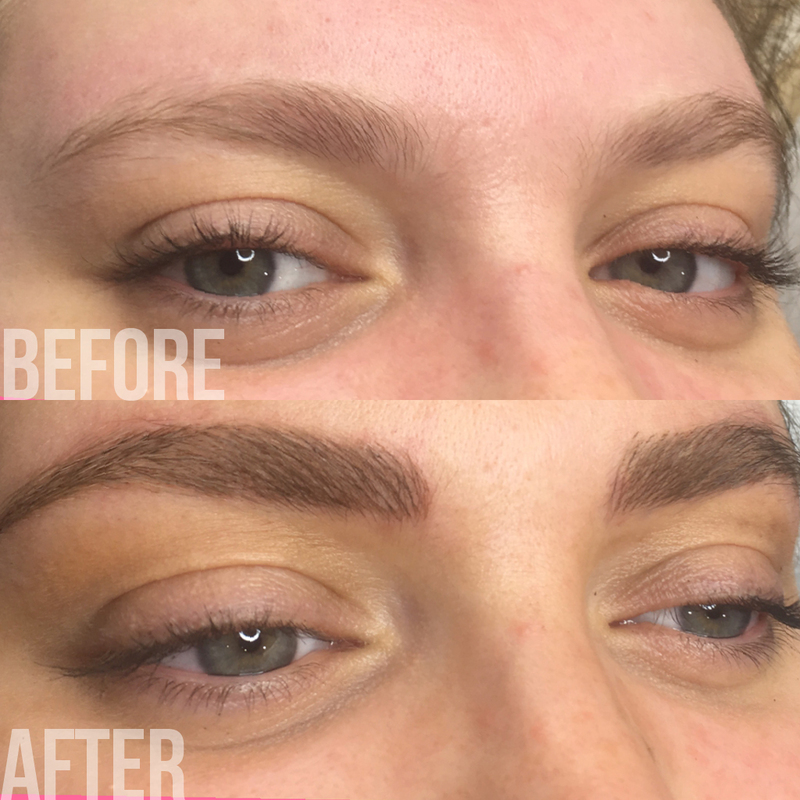 The colour pigment is chosen to match your natural eyebrow colour, and the strokes are drawn in the same direction as your natural hair growth. 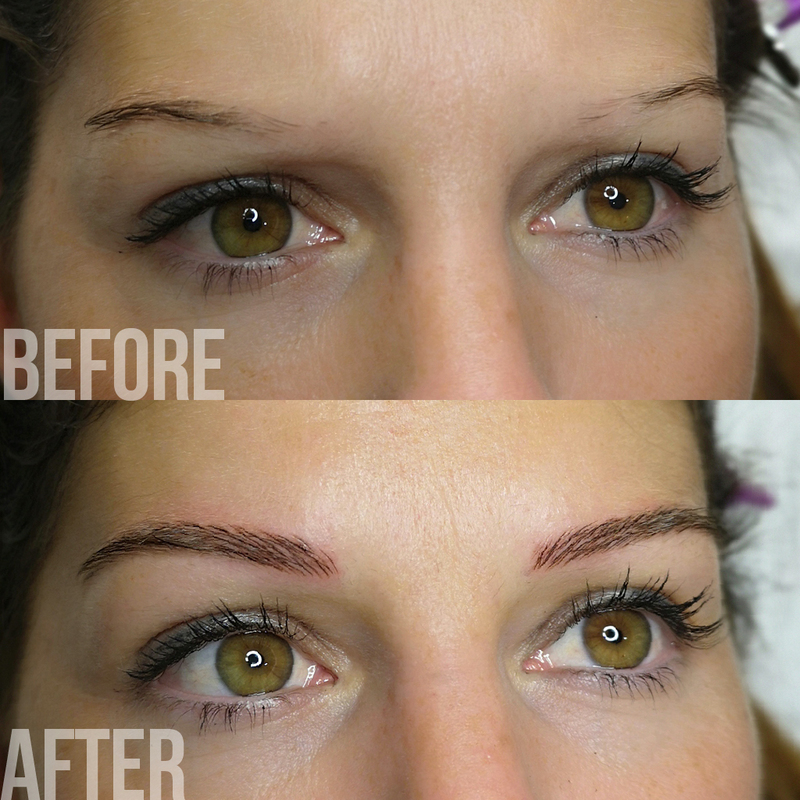 This creates the most natural look possible for your new eyebrows. 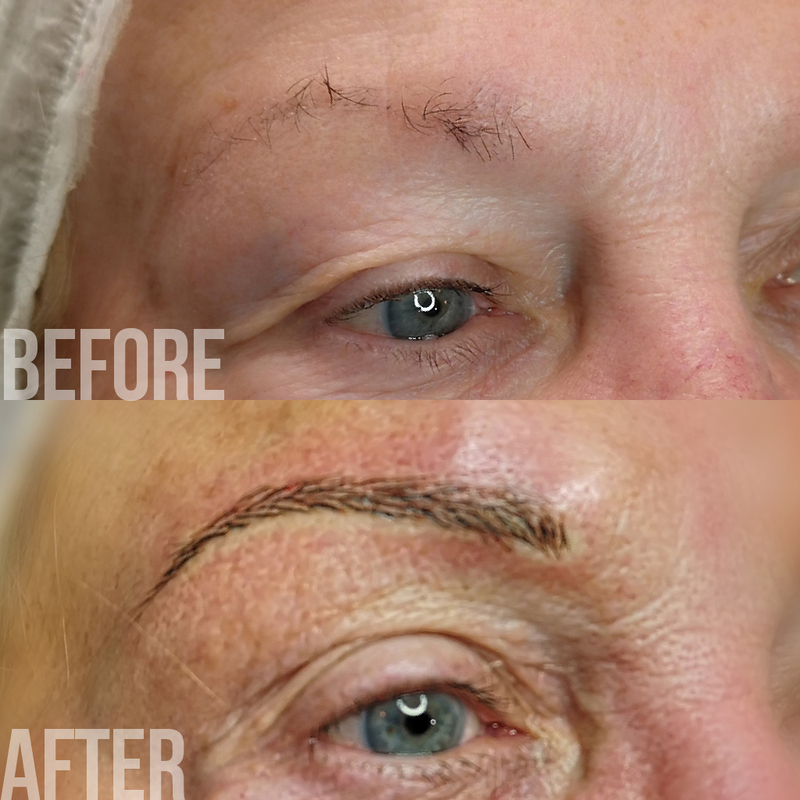 Once your treatment is completed, your new eyebrows can last from 1-3 years, depending on skin type and lifestyle and with minor touch-up sessions to refresh pigment colour over time. 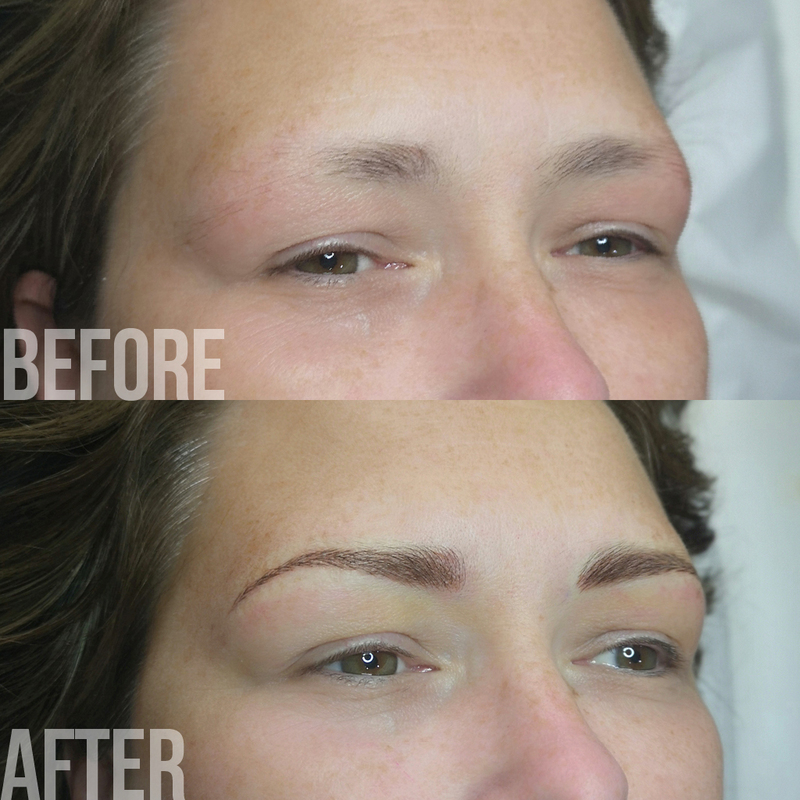 Check out our gallery of happy clients eyebrow transformations. 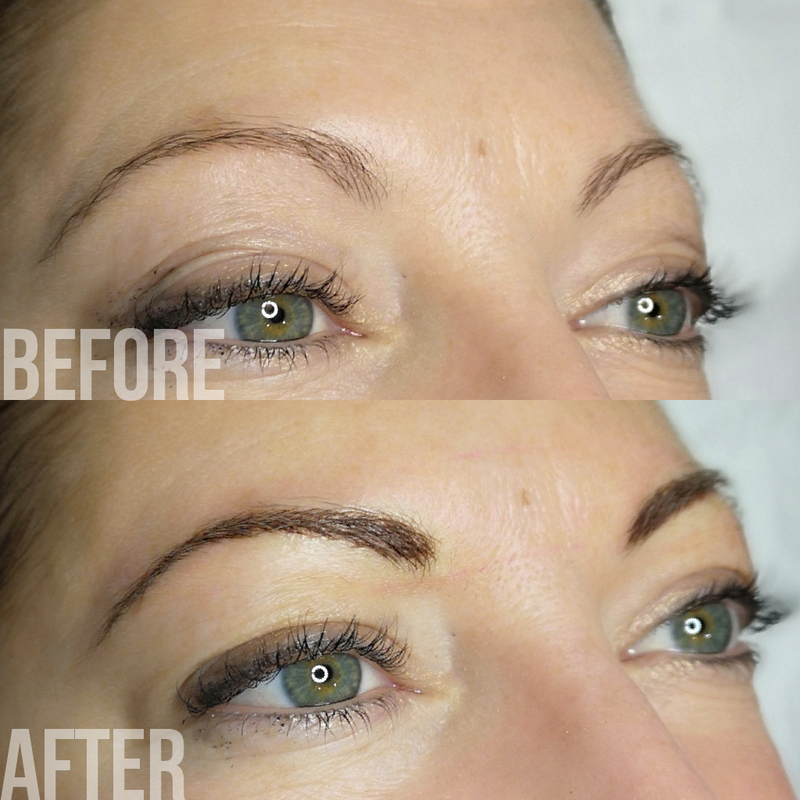 I’m Marika, a registered and licensed, qualified beauty therapist and semi-permanent make-up artist based in Devon. I have been working in the Beauty Industry for over 25 years, working in both salons and colleges throughout Devon. The later part of my career I have concentrated on the creative side of the industry, including make-up, nails and of course microblading. 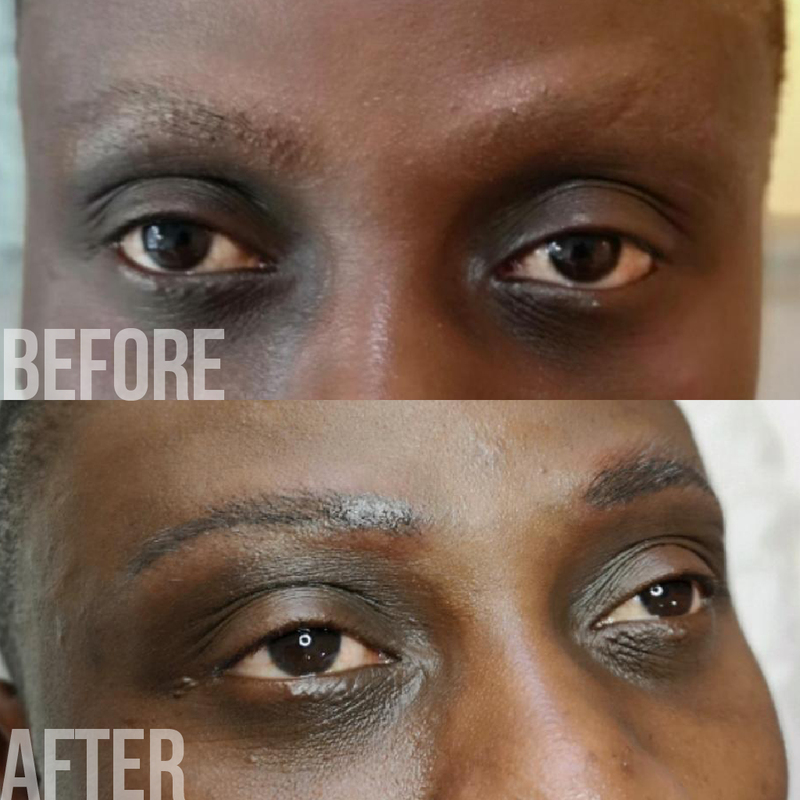 I love the way creating eyebrows can transform a face and find it very rewarding when seeing my client’s reactions to their new eyebrows. Have a question? Check out our FAQs or send us a message. Do I really need a touch-up session? Definitely! 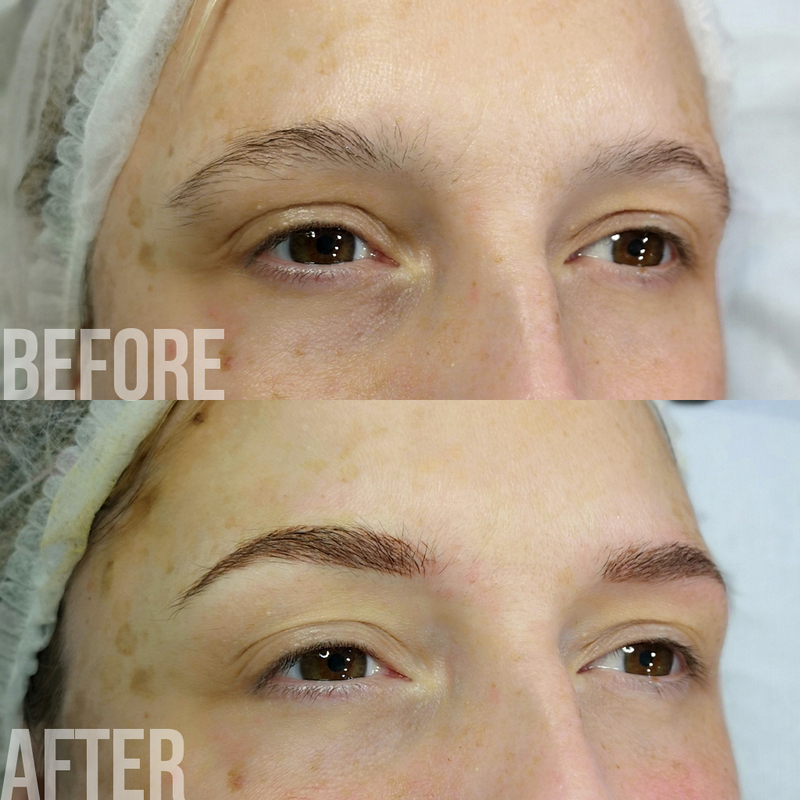 6 weeks after having your treatment, you’ll need to see M.E.Microblading for a touch-up session. 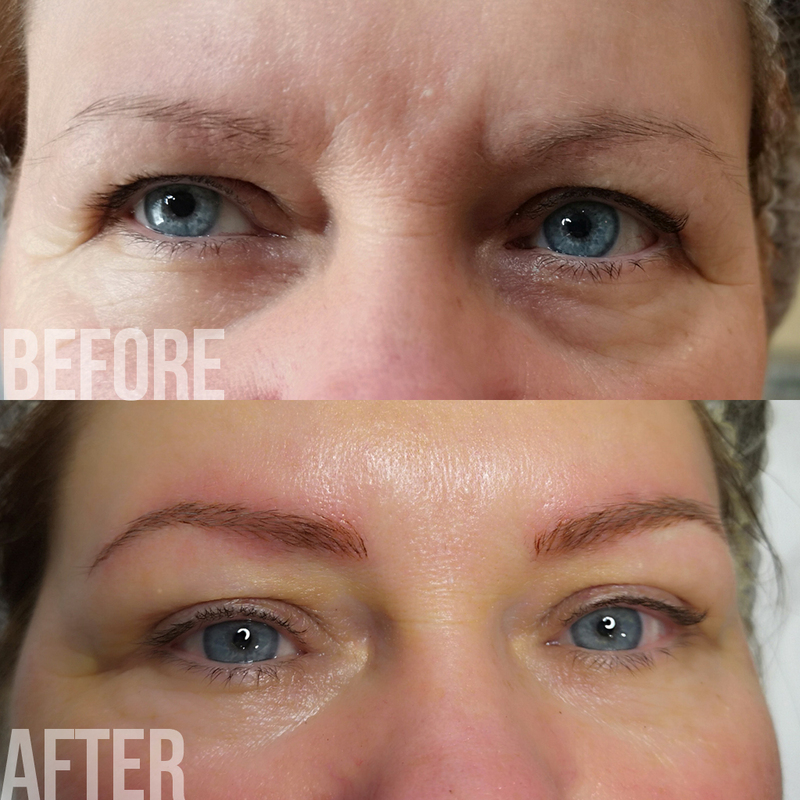 The colour will have settled and blended in after this 6 week period and will be touched-up to ensure the closest possible match to your natural eyebrow colour. 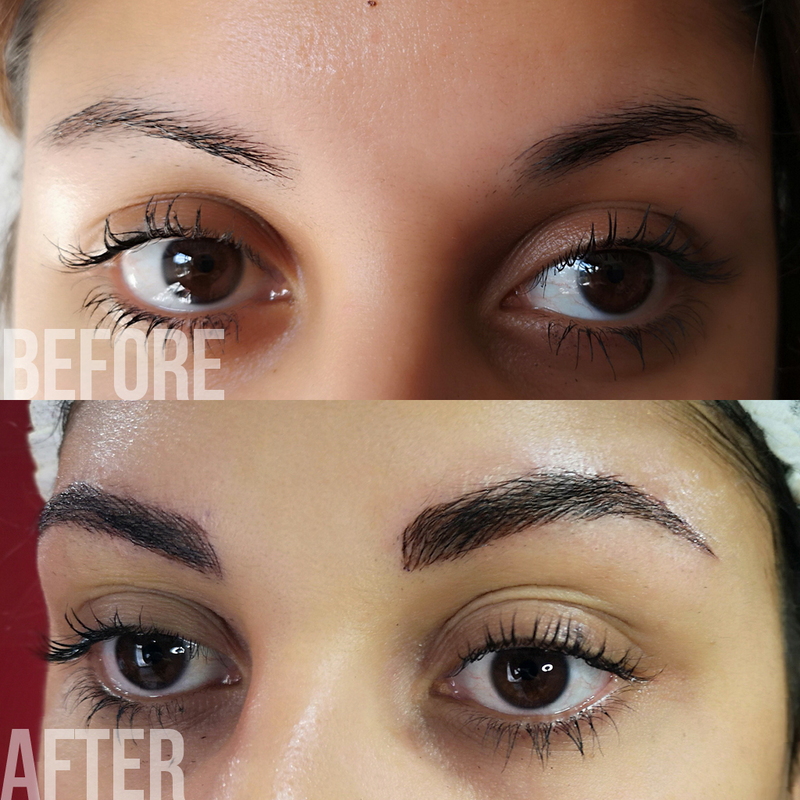 Your eyebrows will also be refined during this session to ensure your brows are totally flawless! 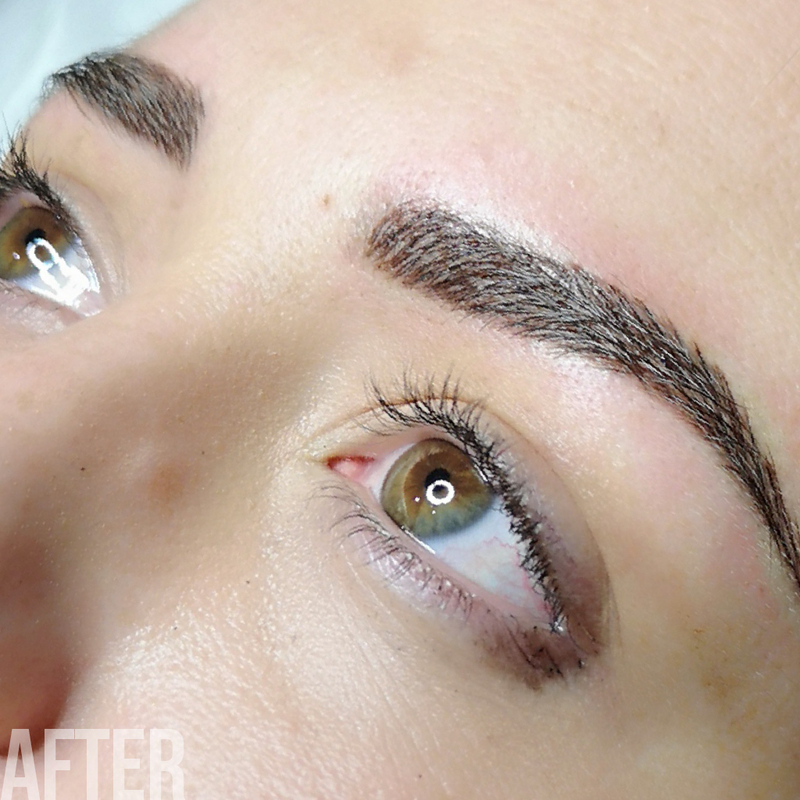 Microbladed eyebrows can last for up to 3 years, depending on skin type, lifestyle and age. 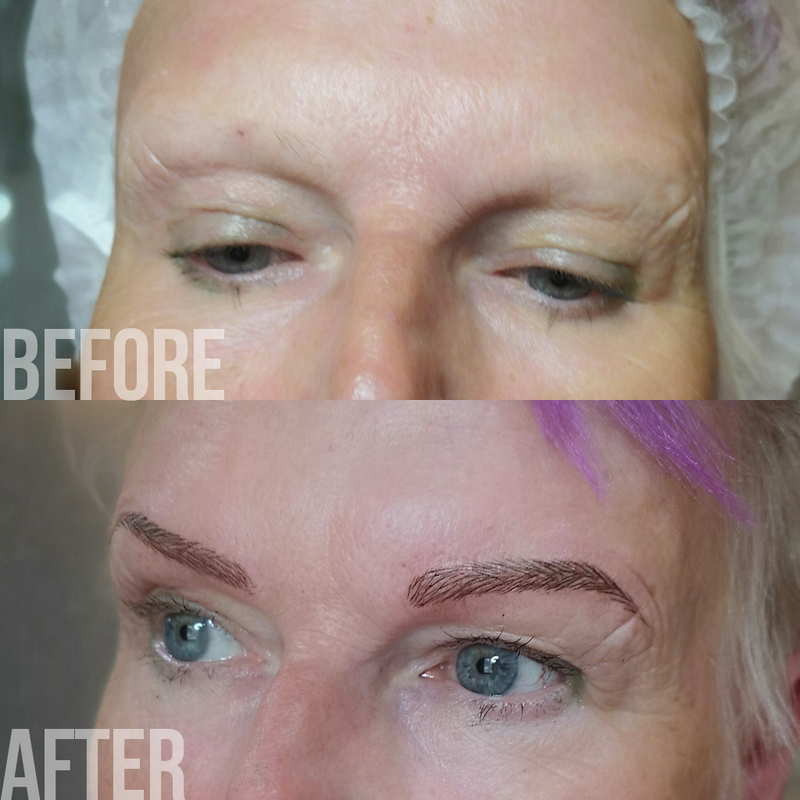 Your new brows will last for a minimum of 12 months and another touch-up session after this time should get your brows looking back to their sparkling best. 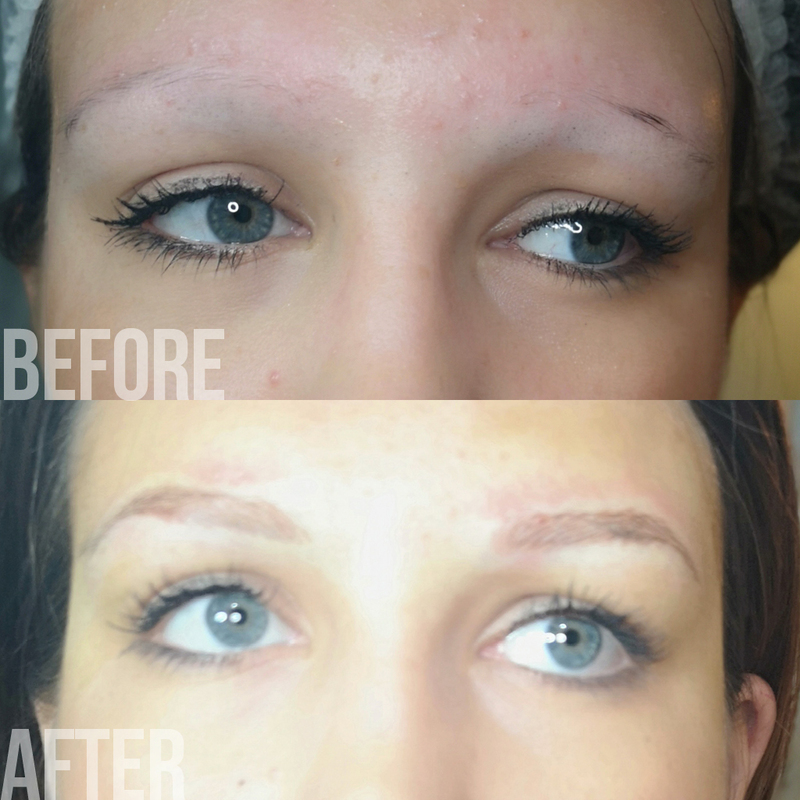 Is the Microblading suitable for everyone? 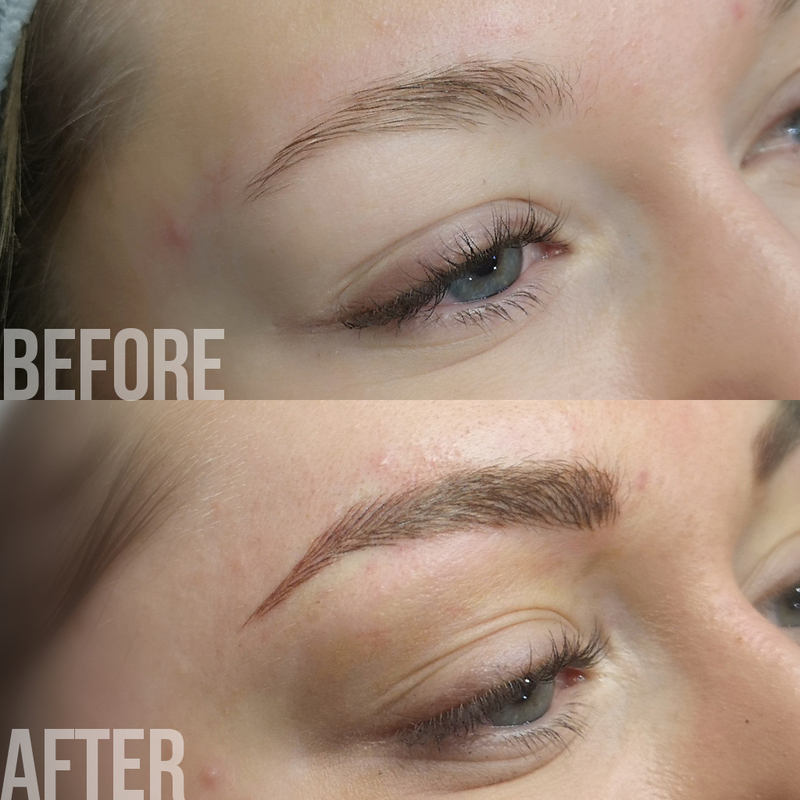 Our clients’ health and safety is of utmost importance to M.E.Microblading, unfortunately there are certain occasions which will prevent M.E.Microblading from performing your Microblading treatment. If you have certain medical conditions, such as skin diseases or irritation, allergies, or have had recent Botox injections, you won’t qualify for the procedure. We ask you to complete a consultation form prior to treatment to ascertain all of the above, and the treatment cannot be performed without the client’s completed, signed consultation form. A patch test will also be required prior to treatment to ensure your personal safety. 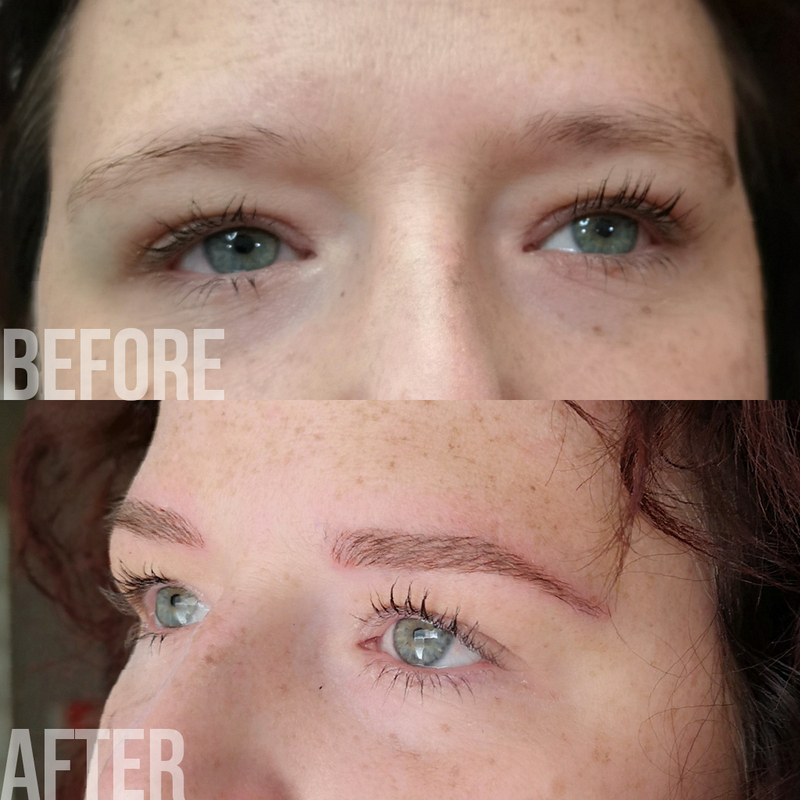 Where can I have Microblading treatments? We offer treatments at The House of Beauty Barnstaple in North Devon on Tuesdays and Saturdays and at The Hair Company, Exeter in South Devon on Thursdays and Fridays. Read what our fantastic client’s have to say! 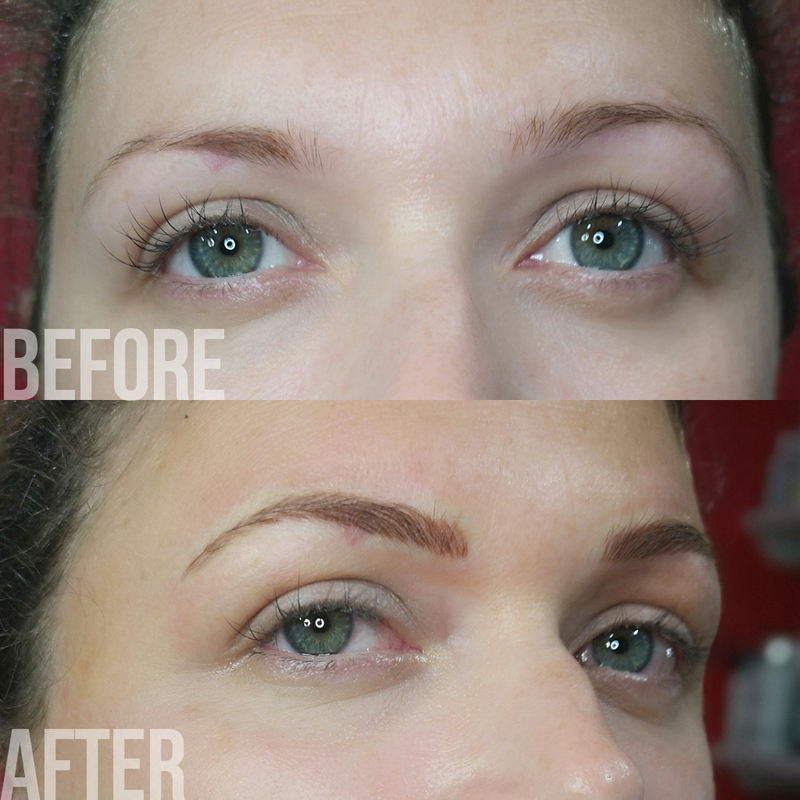 "Love my brows - thank you Marika. 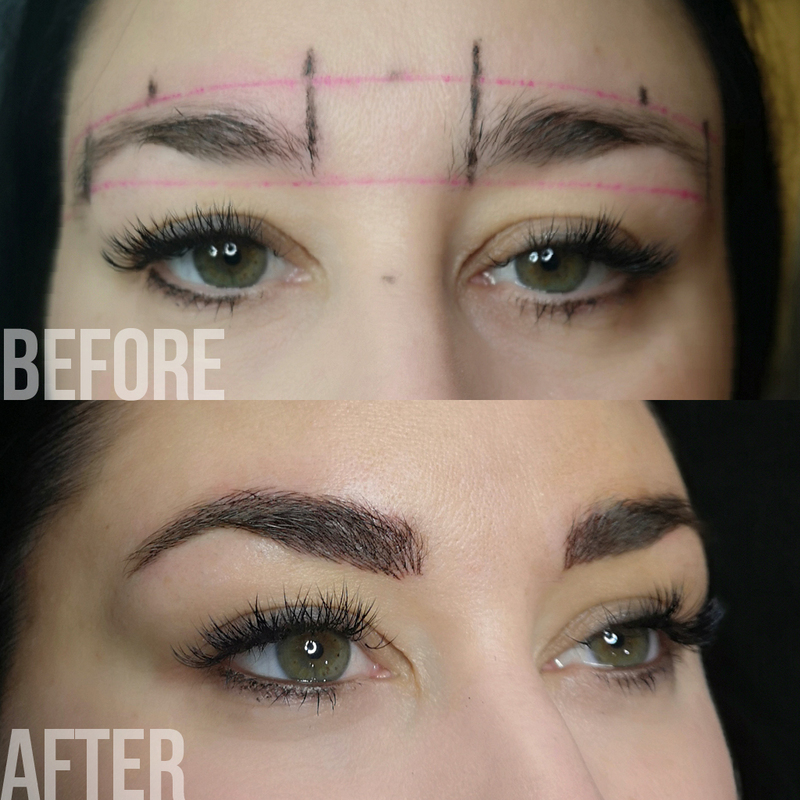 Marika really is skilled at microblading and you can trust her judgment about the finished look." 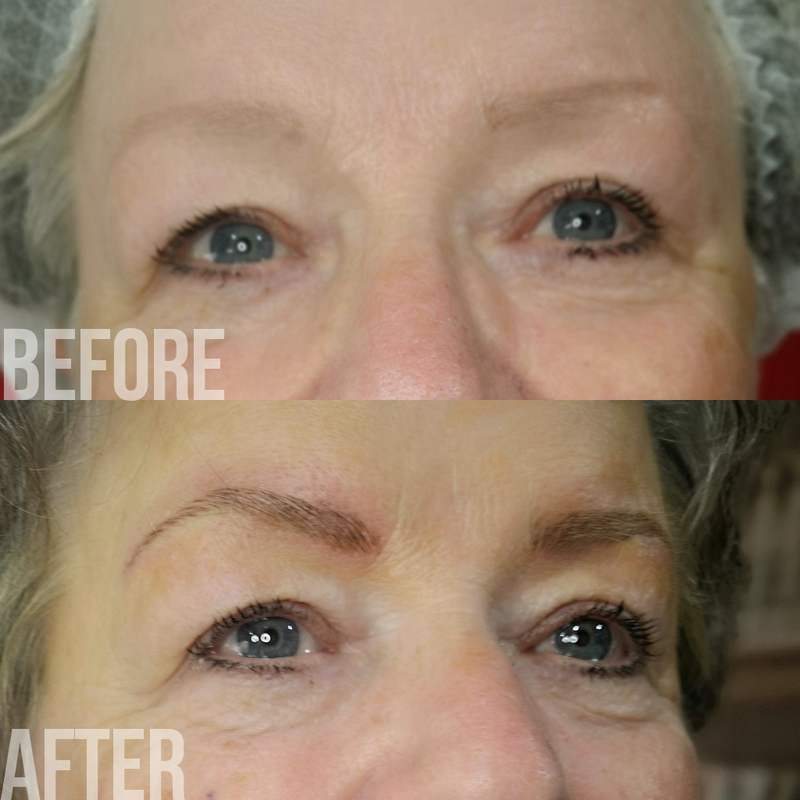 "Thank you Marika for my fabulous eyebrows - so happy with the results, couldn't recommend you highly enough!" "Thank you so much for giving me great eyebrows." "Went to see this lovely lady this morning. Had shellac nails and a massage. My nails look stunning and the massage... WOW, I feel amazing! Will definitely be going back." 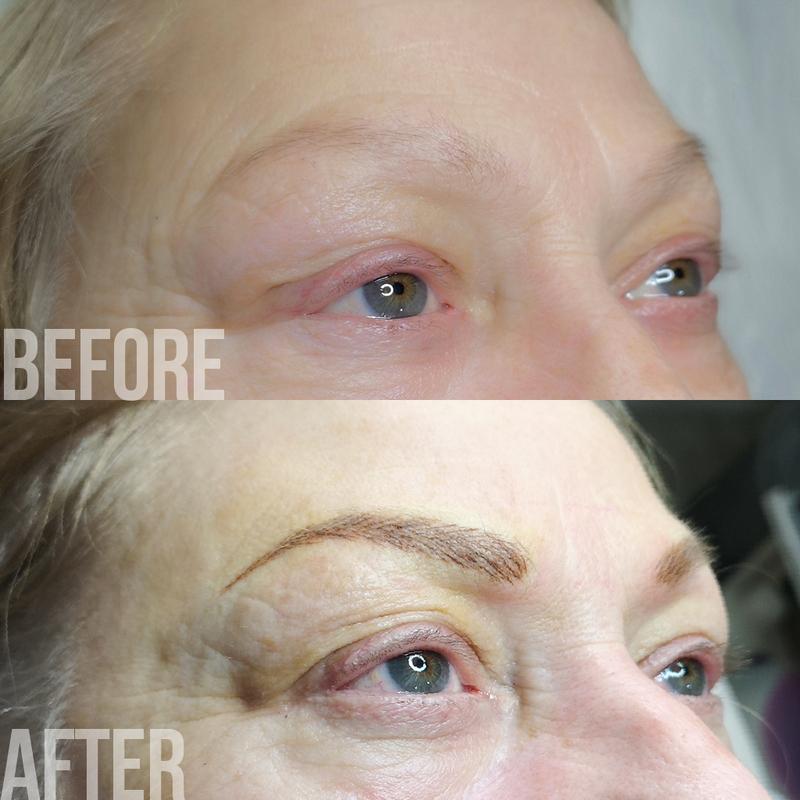 "Absolutely wonderful lady and I'm in love with my microbladed brows. Thank you Marika." "Absolutely wonderful. I feel so much more self confident. Thoroughly recommend Marika." 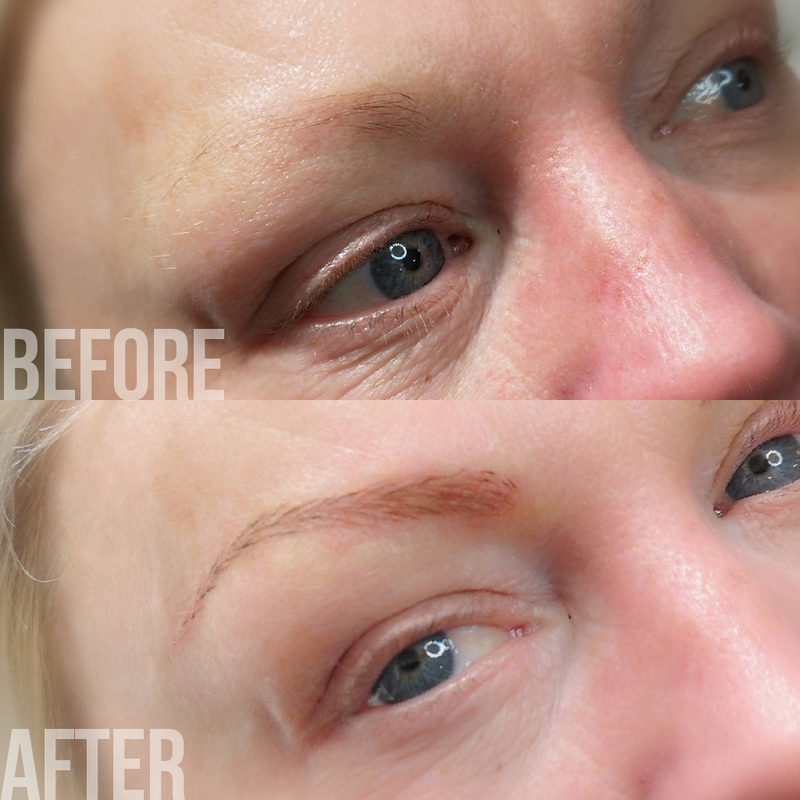 All our semi-permanent treatment prices include six weeks top up and aftercare. Microneedling is a rejeuvenating and anti-aging treatment. It is a minimally invasive treatment using a device with fine needles, which create tiny punctures in the top layer of the skin. This triggers the body to produce new collagen and elastin. The House of Beauty in Barnstaple, North Devon. The Hair Company in Exeter, South Devon. Get in touch today to book your treatment or make an enquiry. 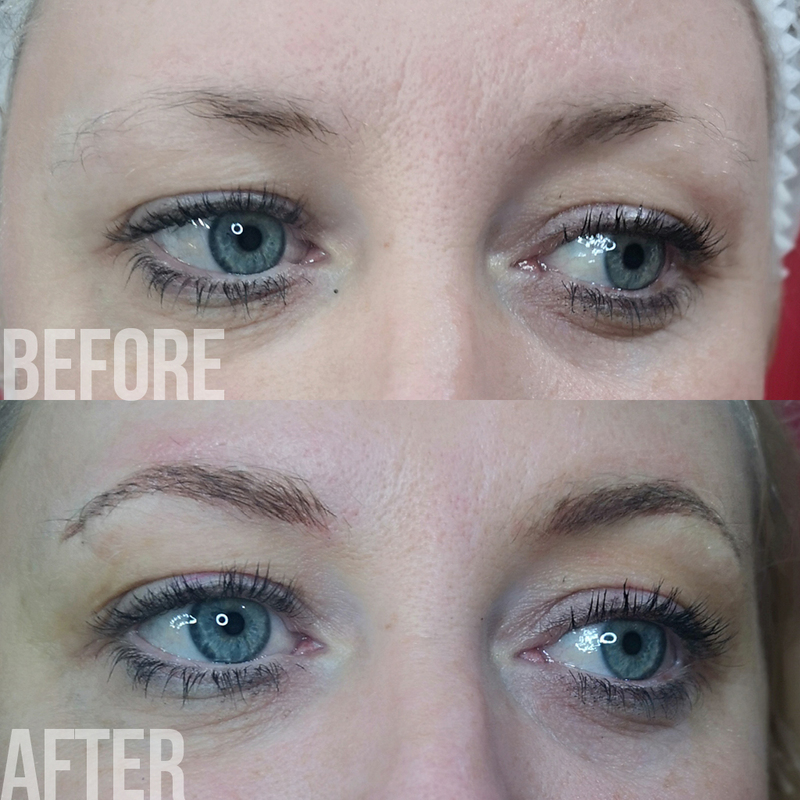 Microblading and Semi-permanent make-up treatments in Barnstaple, North Devon and Exeter, South Devon.